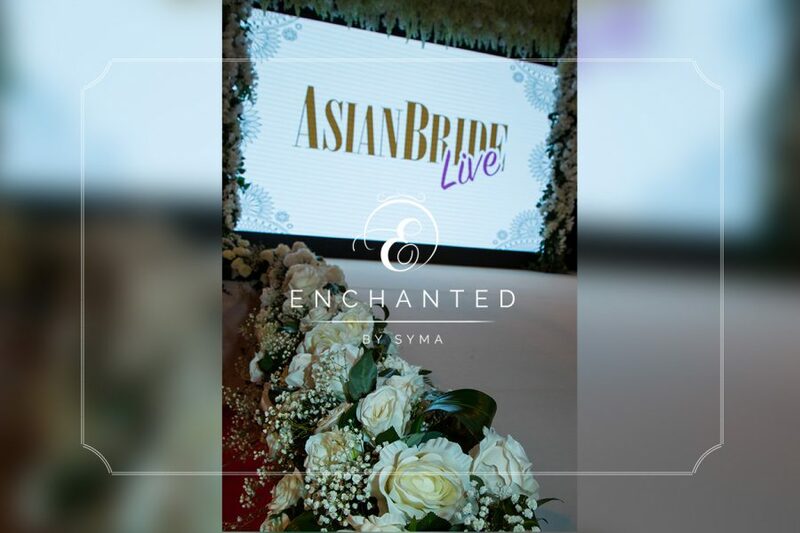 Asian bride live is one of UK’s most anticipated & awaited exhibitions which has stamped it’s place in London’s largest venues such as Excel. 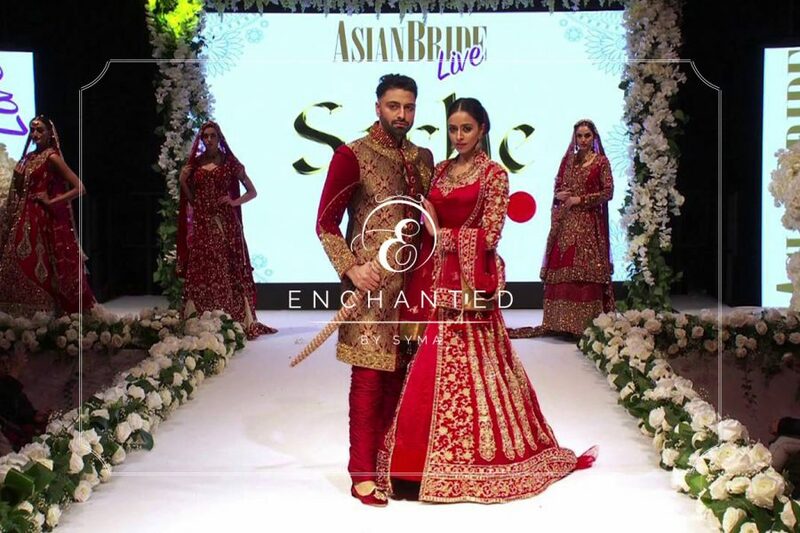 Being a popular event in London the Asian Bride Live is now setting their mark in the midlands with Over 180 exhibitors and a foot flow 3,500 visitors at NEC Birmingham. 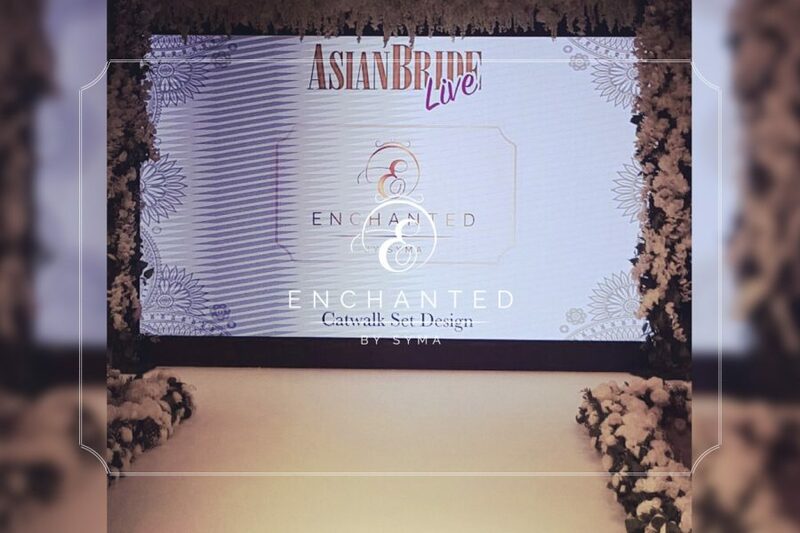 It’s no wonder Enchanted by Syma team were thrilled when asked by the organisers to create a show stopping catwalk design which would leave everyone in awe! 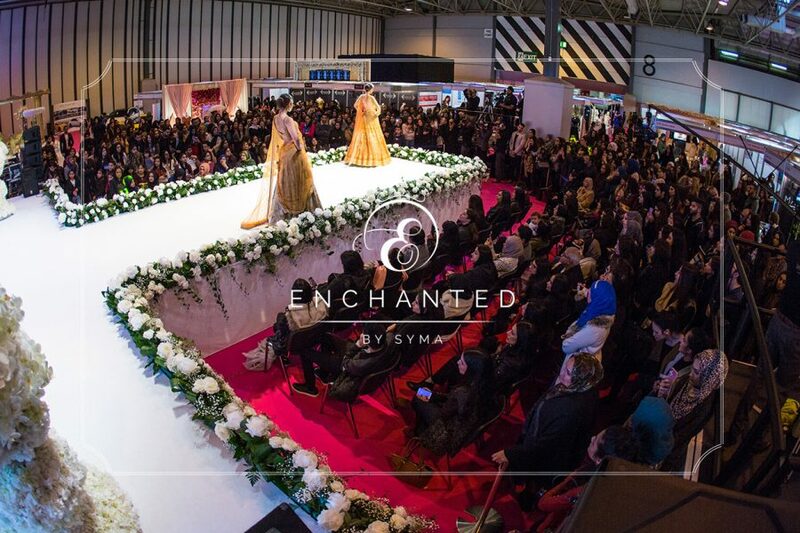 Enchanted by Syma are London’s most trend setting wedding decor company and we are known for our supersized statement Floral Swans. We decided to soften the catwalk in a heavy trim of ivory roses and dense foliage which would be visible from far. Lastly, a lavish hanging canopy of wisteria for the models to be framed under, which would also work beautifully in a wedding setting. We kept to a neutral tone of ivory and green, which are popular in the English Wedding Market but designed in statement sizes for Asian weddings venues which are larger and can handle more opulent decor. We wanted the future brides and groom to be able to envision the catwalk decor at their own weddings, giving them more wedding ideas and showcasing the latest wedding trends. 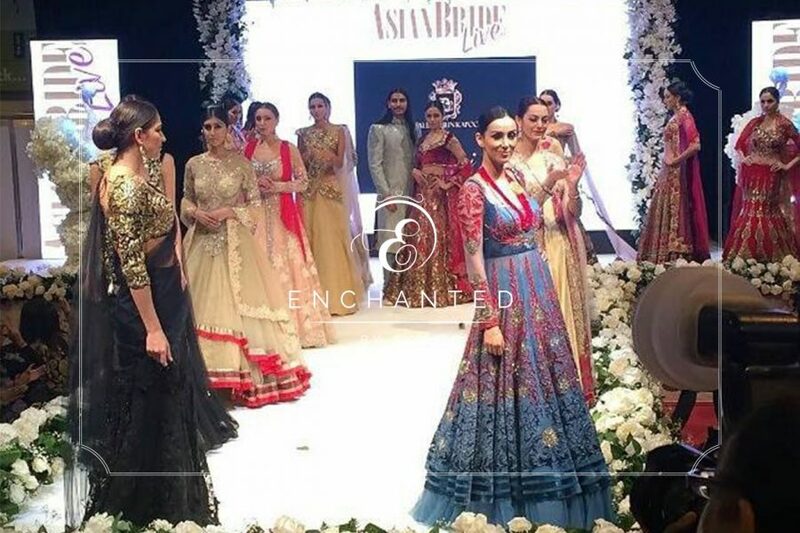 The high caliber of models looked absolutely stunning in their lavish Asian wedding dresses which gave great inspiration to future Asian brides and Asian Grooms with the stylish menswear. 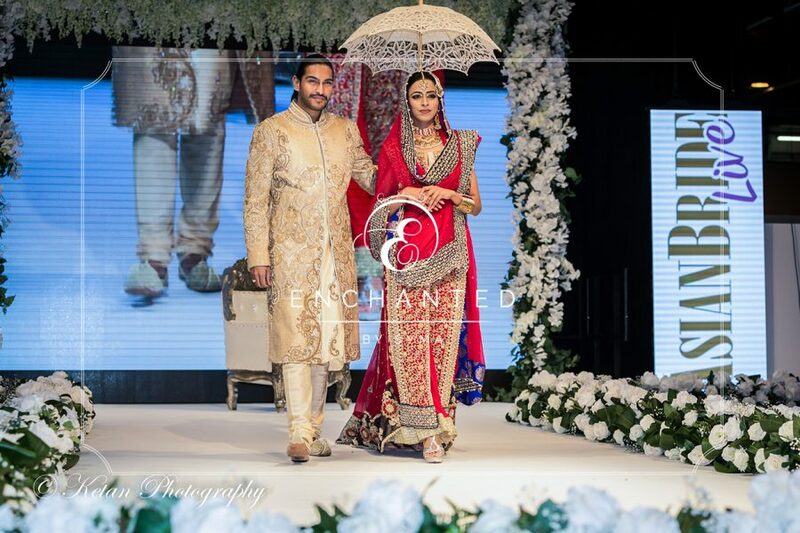 There were many great wedding dress designers and menswear wedding designers, such as Soltee by Sulakshana Monga’s, Sharon’s Couture, RDC London, Kahaani London, LaVelle Designer wear, Khaani London, Ethereal Evening Wear, Silons and many more. 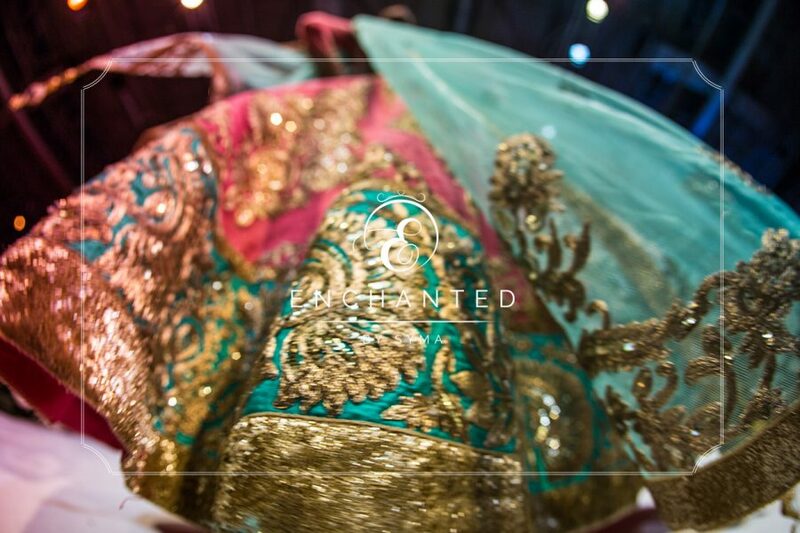 The Asian Bride exhibition is a great for Brides-to-be and Grooms-to-be searching for the latest wedding ideas in the Asian wedding industry. 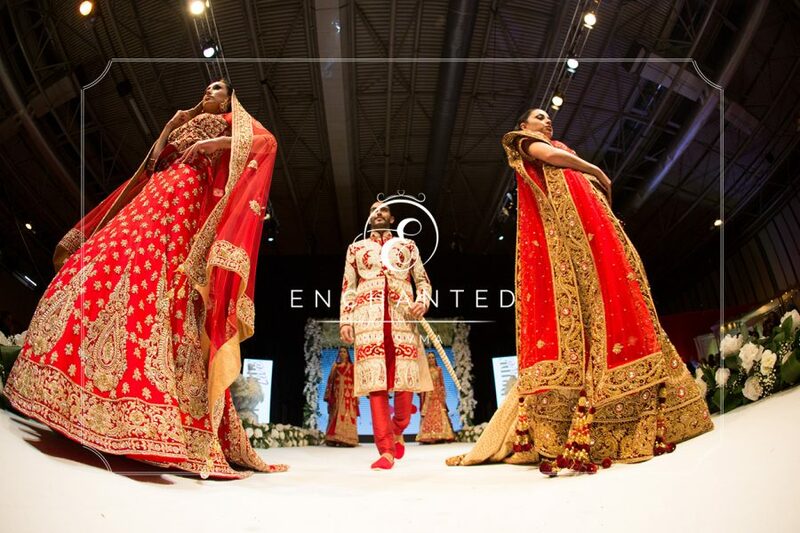 There is a vast range of wedding exhibitors to cater to the Asian Community, including Muslim weddings, Sikh weddings and Hindu weddings. 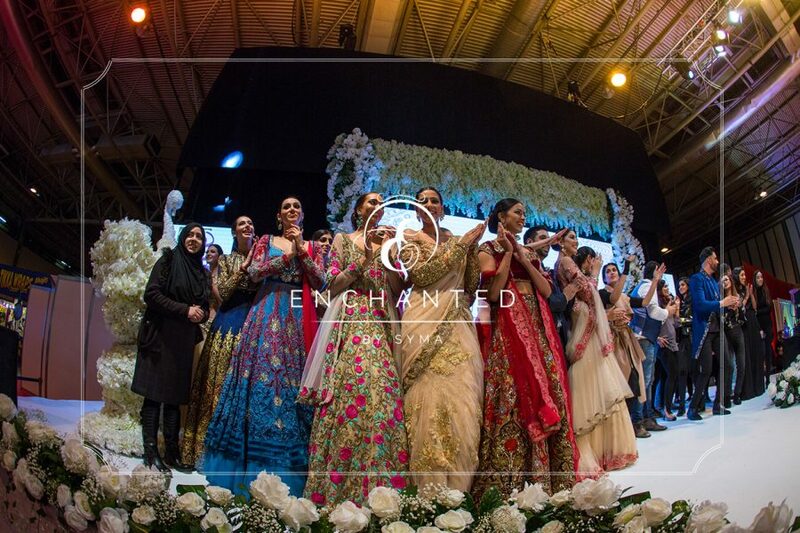 Lastly, a special thanks to Moshin from Asian Bride for selecting us and bringing the London’s Top Wedding Florist, Enchanted by Syma to the heart of Birmingham.